This Paradise Flat building â built by the Schilling family in 1936 â was dissembled recently and is now being stored in a warehouse, awaiting reconstruction at a new site. More online: Visit theschillinglodge.com to learn more and to fill out the survey; anyone interested in the future of Tahoe XC is asked to fill out the survey no later than March 20. TAHOE CITY, Calif. — For more than 40 years, cross-country skiers have been skiing away from a lodge that was once a golf clubhouse at the edge of The Highlands near Tahoe City. 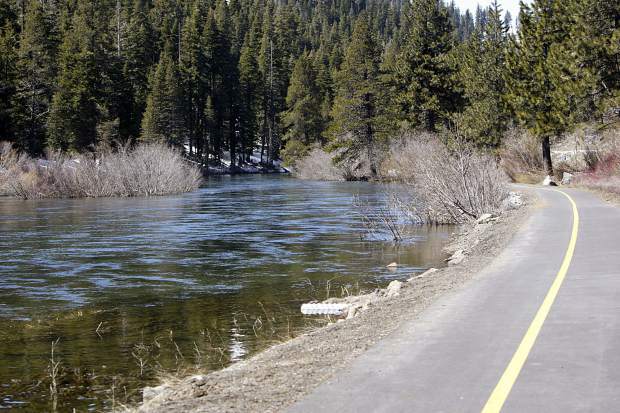 While the golf course only survived for several years, cross-country skiing, mountain biking and hiking continue to thrive on Tahoe City Public Utility District and Burton Creek State Park lands accessed via this trailhead. At Tahoe Cross Country Ski Area (aka Tahoe XC), nordic skiers enjoy 65 kilometers of groomed trails through spectacular and varied terrain, including views of Lake Tahoe. Now the planning process has begun to build a new lodge for the ski area. The old clubhouse has served its purpose, but during busy weekends and holidays, the rental shop and cafe area at Tahoe XC can be packed to the gills with customers. While the terrain is perfect for cross-country skiing, the location of the lodge at 925 Country Club Drive — at the bottom of a steep hill — is a challenging site to teach beginners. While the lodge, also known as the Highlands Community Center, has been updated and maintained, officials at the resort say it will eventually need a major upgrade. In 2012, John Mozart purchased a lakefront estate known as Paradise Flat in the Rubicon Bay area of Tahoe’s West Shore. His plan was to construct a new home on the property, but he also wanted to preserve the beautiful two-story, wood-framed home with high ceilings, exposed roof trusses and redwood flooring that was on the property. That home was built by the Schilling family in 1936. The building has since been meticulously dissembled and stored in a warehouse, awaiting reconstruction on a new site. Meanwhile, Mozart has been seeking a nonprofit organization that would accept the building as a donation, and the connection was made with the Tahoe Cross Country Ski Education Association, the nonprofit that runs Tahoe XC. It was an opportunity the Board of Directors for the TCCSEA couldn’t pass up, said TCCSEA Board Member Jens Legallet. The new, two-story Tahoe XC lodge will incorporate the entire Schilling structure, as well as additional space designed in a matching style. 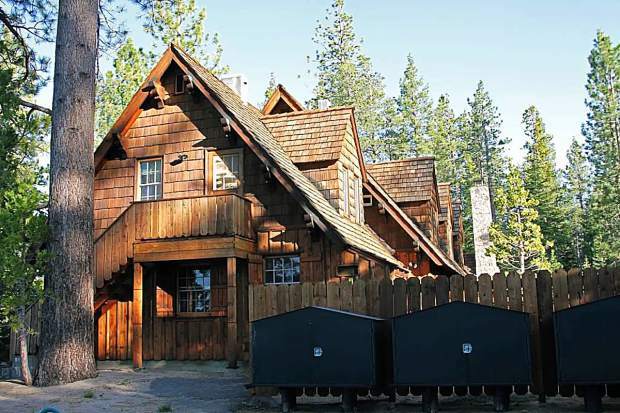 The lodge’s footprint will be approximately 4,800 square feet, with the two-story building itself encompassing 7,300 feet of operational space, according to Tahoe XC. When completed, for the first time the ski area will have room for an office, employee locker room, family lounge and a gym for the Tahoe XC Devo and Comp Teams. Other possibilities include a locker room and shower. In addition, the lodge will be designed to improve the café and seating areas, while enlarging the rental shop to better manage congestion during busy periods. The plan also calls for an increase to 100 parking spaces, instead of the current configuration of less than 50. Parking has been an important issue at Tahoe XC, especially during stormy periods, said TCCSEA Board member Gerald Rockwell. Meanwhile, Rockwell added, an important factor in choosing a site is to have plenty of level terrain near the lodge to make teaching easier. The first step in the process of building the new lodge is to pick the best location. 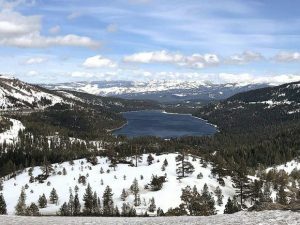 Five potential sites are being studied, which represent the five road access points to the 45 acres of Tahoe City Public Utility District-owned land on which the ski area operates. In a series of recent workshops — including two this past Saturday and Sunday — the TCCSEA Board presented the five options to the public, and were available to answer any questions. While the workshops are now complete, people are still encouraged to answer an online questionnaire to provide feedback. Go to theschillinglodge.com to fill out the survey. According to Tahoe XC, based on public input at meetings and via the survey, as well as the TCCSEA Board’s scorecard review of all of the information on the different sites, a report will be provided to the TCPUD staff at some point after Monday, March 20. From there, staff will prepare recommendations to the TCPUD Board for potential approval at a future, to-be-determined public hearing. 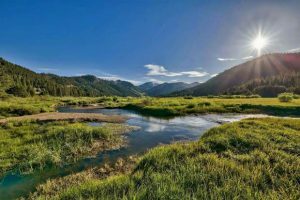 Once a site is selected, engineering, architectural and environmental analysis work and review by various agencies, including the Tahoe Regional Planning Agency, will be necessary before the project could meet final approval. “If everything went perfectly we would love to start in 2018, but it could be 2019,” said Rockwell. At this stage in the process, full costs for the project are still to be determined. However, according to the project website, along with the donated building, Mozart has donated an additional $1 million to the project. Further, the TCCSEA board envisions creating a capital fundraising campaign if the project is approved. Tim Hauserman, a nearly lifelong resident of Tahoe City, is a freelance author and a cross-country ski instructor at Tahoe XC. He may be reached at writeonrex@yahoo.com.